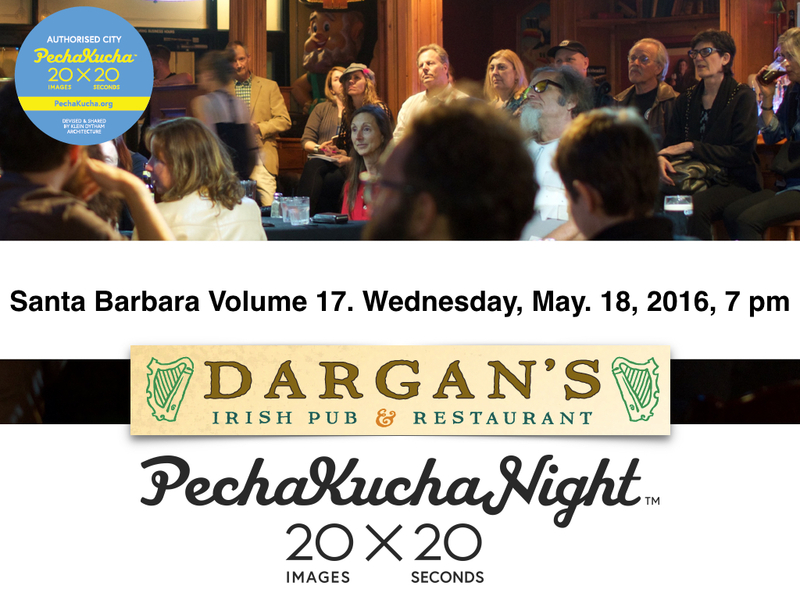 PechaKucha Night Santa Barbara – A quarterly event of fascinating presentations. Author pknsbPosted on June 23, 2016 Leave a comment on Join us for Vol. 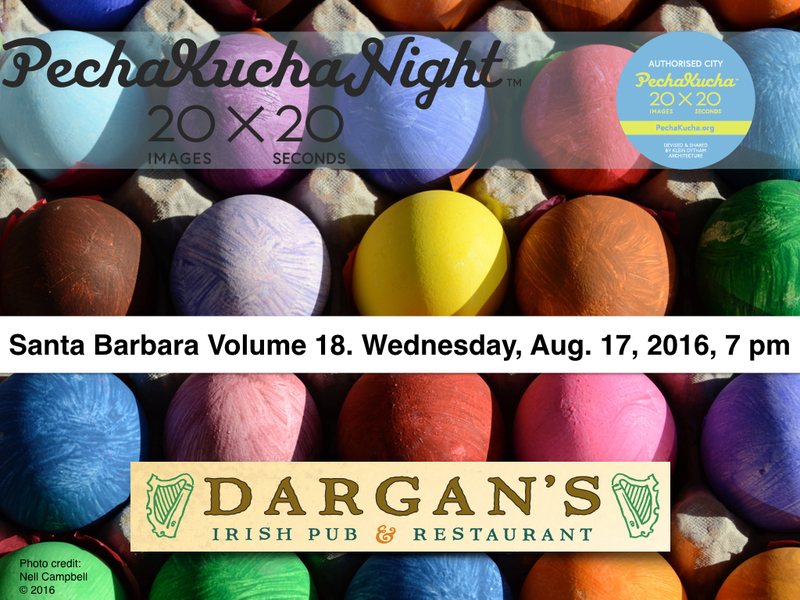 18, Wednesday, August 17, at Dargan’s! Come to enjoy, come back to present! An evening of lightning talks by local people passionate about their work, their lives, or social change. Author pknsbPosted on September 15, 2015 November 5, 2015 2 Comments on Vol. 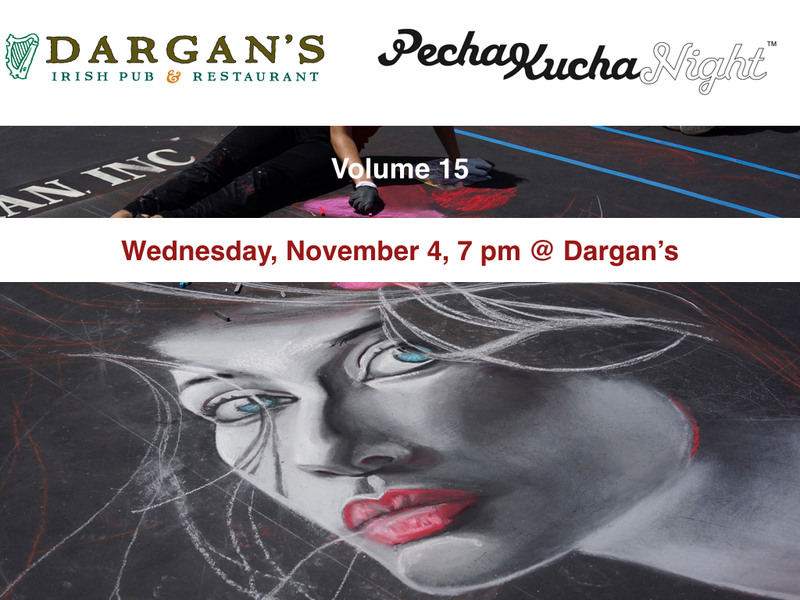 15: November 4, 7 pm at Dargan’s. Join us! Author pknsbPosted on August 6, 2015 Leave a comment on Join us on August 12! 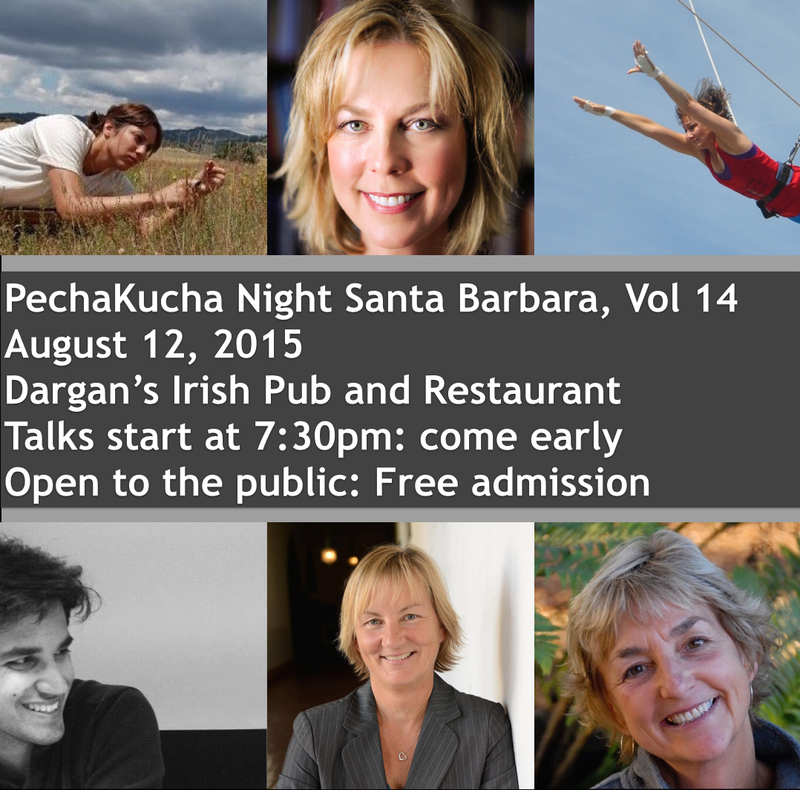 Hello Santa Barbara PechaKucha Night folks! 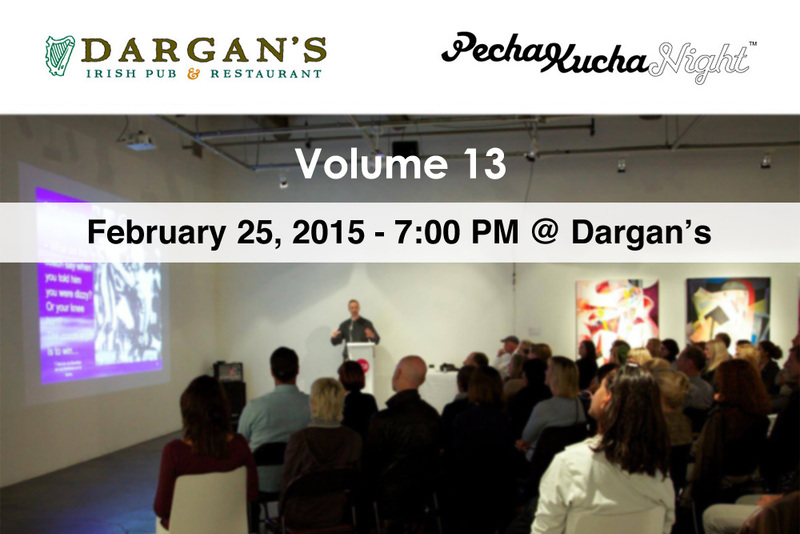 Talks will start at 7:30… Show up early to talk and have a beer or dinner! 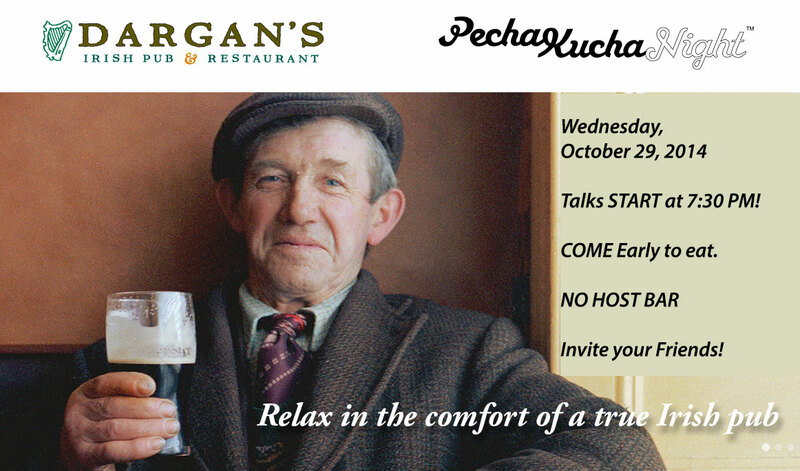 Author pknsbPosted on September 29, 2014 September 30, 2014 Leave a comment on PKNSB October 29, at Dargan’s Irish Pub and Restaurant! No Event this Summer. See you in October! Author pknsbPosted on June 19, 2014 Leave a comment on No Event this Summer. See you in October! 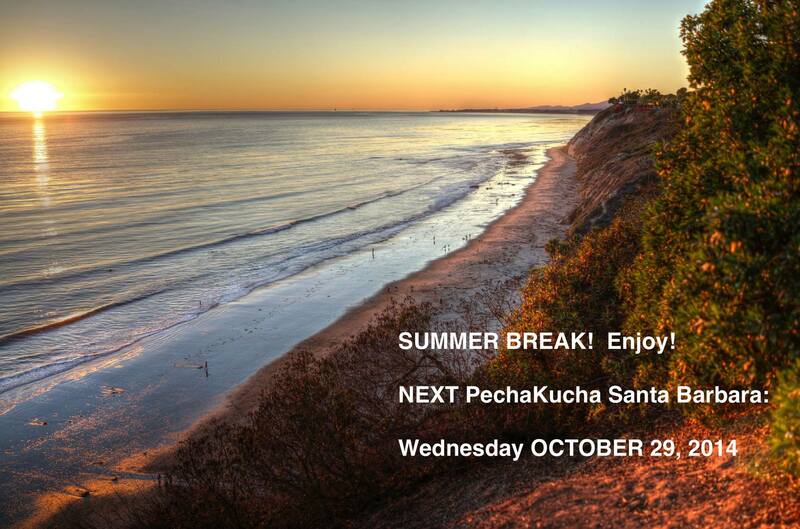 We are pleased to kick off the New Year by hosting the 10th PechaKucha Night in Santa Barbara at the Santa Barbara Museum of Contemporary Art! We will have a passionate group of creative individuals who will be presenting on a variety of topics throughout the night. Each presenter will be allowed 20 slides, with 20 seconds of talking time per slide. Be a presenter! 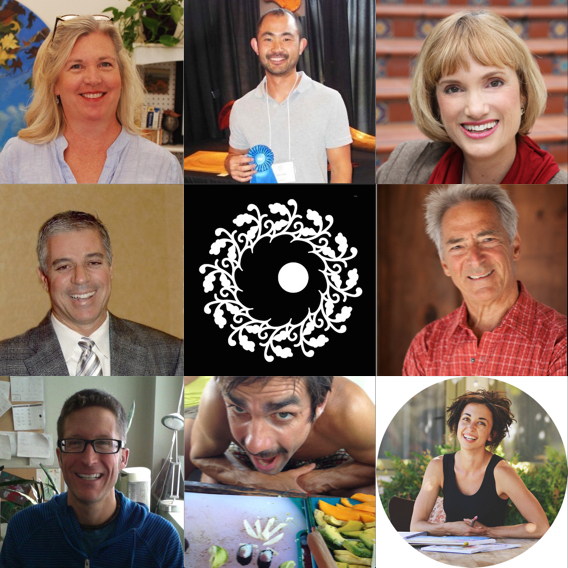 (We’ve only got 2 slots available, but we’re also booking Volume 11 speakers now). Submit your presentation synopsis now.